Mugabe will miss Independence as he is in Singapore for medical treatment- its still independance from oppression! ‘BOSS Mnangagwa’s ally Energy Mutodi after fraud, criminal nuisance and treason charges in 2018, is now a prosecutor at Magistrates’ Court ‘. Yesterday’s cabinet reshuffle by President Robert Mugabe is nothing but a recycle of Zanu PF deadwood, who like all Zanu PF ministers in the present cabinet, do not have the capacity to tackle the myriad of challenges confronting Zimbabwe. We have seen absolutely no improvements in the economy since cabinet appointments in 2013 and the reshuffle prior to this one. 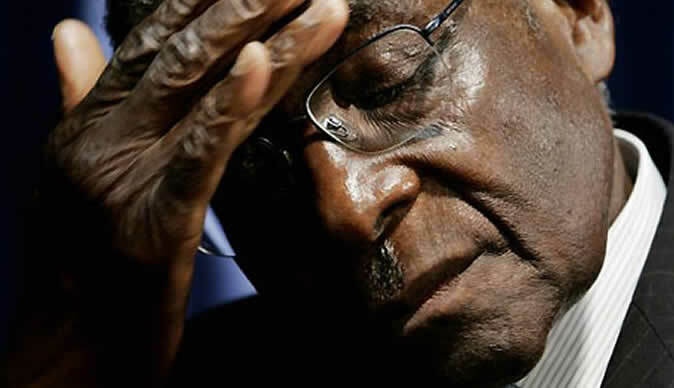 The MDC therefore sees no prospects for a turn -around under any configuration in the lifetime of President Mugabe. The only way Zimbabweans would celebrate a cabinet reshuffle is if the new appointees had the capacity to bring food to people’s tables, deliver the promised 2 -million jobs and a better life for all, which is far from the case in this instance. Instead what we will see in this latest recycle is the perpetuation of Zanu PF misrule through the use of various state machinery. With the notoriously corrupt Ignatious Chombo now in the Home Affairs ministry we will see intensified abuse of state security instruments to further the Zanu PF cause and his personal gain; gross abuse of local government machinery through the violent gangsterism antics of Saviour Kasukuwere and brain washing of minds and unrestrained Zanu PF propaganda in higher education institutions through Jonathan Moyo. In addition, the MDC views this reshuffle as yet another opportunity for the Zanu PF fat cats to award one another chances to loot from the country’s nearly depleted fiscus.